When we imagine the future of warfare, we often envision a battlefield where humanoid robots and other machines fight alongside or in the place of human soldiers. From the droids of Star Wars to The Terminator’s cyborg soldiers, robots play a prominent role in our collective vision of future combat. While science fiction is populated with anthropomorphic and sometimes malevolent robots that can seem remarkably human, in the real world, robots are simply programmable machines that can sense and interact with their environment. From this point of view, most advanced weapons systems are robotic, including cruise missiles, drones, and air and missile defense systems. Are we at the beginning of an inevitable process leading to the rise of “killer robots” predicted by science fiction, or can robots actually make war less destructive?1 What comes next in the advancement of military robots? 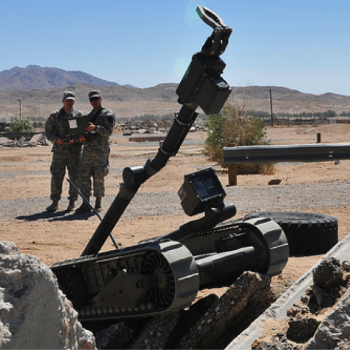 As the U.S. winds down its counterinsurgency campaigns in Iraq and Afghanistan, the most important robotic systems used in these conflicts will be far less in demand. These include IED hunters and unmanned aerial vehicles such as Northrop Grumman’s Global Hawk surveillance drones and General Atomics’ armed Predator and Reaper drones. In fact, the Department of Defense plans to slash these drones’ numbers due to both their inability to survive in contested airspaces and general budgetary pressures. Instead, there will be a greater focus on developing robotic systems for shorter but more massive air campaigns against more sophisticated adversaries with modern air defense systems, like Libya, Syria, China, or Russia. The Pentagon will likely continue its efforts to build global precision strike capability, allowing rapid deployment of unmanned weapons that can attack anywhere in the world within an hour. (b) In addition, there will be a continuing focus on technologies and capabilities relevant for low-intensity conflicts like the ongoing War on Terror. Another approach to implementing robotic weapons systems is to combine them with humans, whose bodies could be augmented with robotic technology. This concept offers the best of both worlds: the quick reaction times, precision, and strength of robotic systems and the control and superior cognitive abilities of humans. 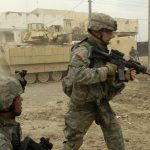 DARPA’s Land Warrior and its successor projects (Objective Force Warrior, Future Force Warrior, and now Warrior Web) aim to equip soldiers with wearable computers, advanced communications gear, helmet visors with night vision and head-up-display, and robotic exoskeletons for improved mobility. While the potential may be vast, such human enhancement has suffered the same setbacks and slow progress as the development of other robotic systems. The gear is still too heavy, and the exoskeletons that could enable soldiers to carry more and move faster lack a sufficient power source. Critics are also concerned that advanced artificial intelligence (AI) could develop in directions not anticipated by scientists. Because of this unpredictability, the US military has indicated that it will never remove humans from the decision loop completely. While unmanned weapons systems will become gradually more autonomous so that they can carry out very specific missions with less human direction, they may never entirely replace human soldiers on the battlefield. The technological augmentation and modification of human soldiers raises even more troubling ethical issues than the development of autonomous robots.5 Since millions of dollars could go into technologically upgrading the body and mind of a single soldier, would the soldier be allowed to quit military service? What does it mean for an egalitarian and democratic society to provide certain individuals with superhuman abilities? While enhancing human soldiers may have its benefits, it opens up a web of ethical, political, and legal dilemmas. Although truly autonomous military robots with strong artificial intelligence could potentially be built and deployed within the next twenty years, there are great doubts about their military usefulness and legality. 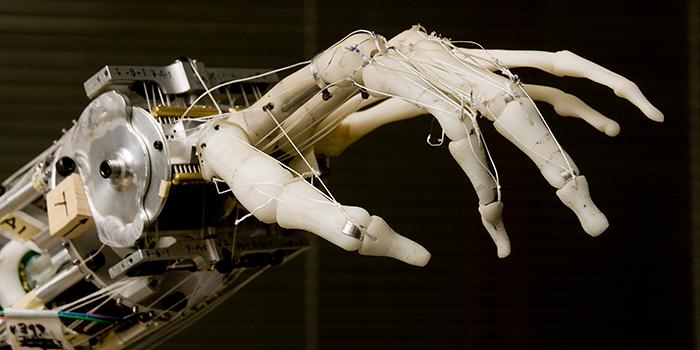 Fully autonomous robots could easily turn out to be uncontrollable weapons. Furthermore, the difficult budgetary climate will not change in the foreseeable future, which means that the U.S. military has to focus its research and acquisition on the projects relevant to the most likely military needs. Instead of designing robots for war, the Pentagon may aim to enhance and even cyborgize soldiers while further developing human-operated robotic systems. Under the most likely scenarios, it may not be the Pentagon’s robots we should be worried about, but rather the changes in humans that military technology will inaugurate. 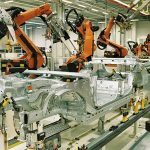 This article is part of a series on robots and their impact on society. Armin Krishnan (2009) Killer Robots: Legality and Ethicality of Autonomous Weapons, Farnham, England: Ashgate. The Royal Society (2012) Brain Waves 3: Neuroscience, conflict and security, London: The Royal Society. V.P. Clark, B.A. Coffman, A.R. Mayer, M.P. Weisend, T.D. Lane, V.D. Calhoun, E.M. Raybourn, C.M. Garcia, and E.M. Wassermann (2012) “TDCS guided using fMRI significantly accelerates learning to identify concealed objects,” NeuroImage, 59(1): 117-128. Christof Heyns (2013) “Report of the Special Rapporteur on extrajudicial, summary or arbitrary executions (A/HRC/23/47),” United Nations General Assembly. Human Rights Watch (2012) Losing Humanity: The Case against Killer Robots. Patrick Lin (2012) “More Than Human? 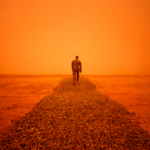 The Ethics of Biologically Enhancing Soldiers,” The Atlantic, February 16. Patrick Lin (2013) “Could Human Enhancement Turn Soldiers Into Weapons That Violate International Law? Yes,” The Atlantic, January 4. (a) In addition to many-legged robots that step on landmines and blow them up before humans reach them, the U.S. has been using aerial drones to kill people planting roadside bombs in Afghanistan and Iraq and to conduct targeted killings of suspected terrorist operatives. The total number of people killed by U.S. drone strikes is unknown but estimated to be at least 3,000. (b) According to the U.S. Air Force, “global strike” refers to the capacity to strike any target anywhere at any time. The Prompt Global Strike (PGS) program aims to develop the capability to attack any target within one hour worldwide. Former Secretary of Defense Robert Gates hinted in 2010 that the U.S. may already have this capability, though his successor Leon Panetta said that the only PGS weapons currently available to the U.S. are severely restricted nuclear missiles. 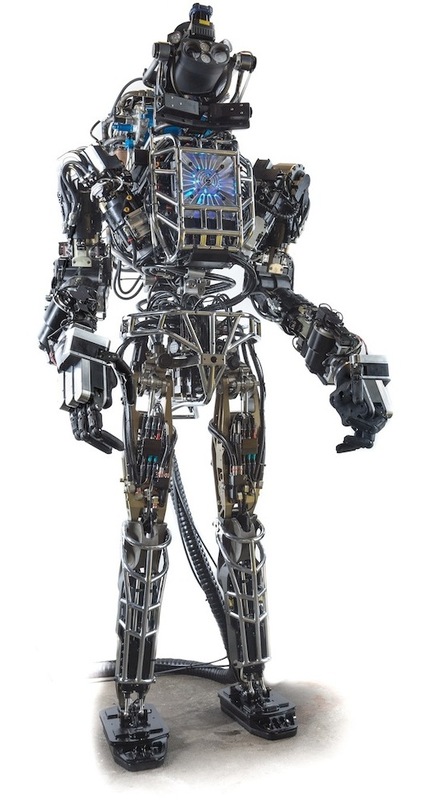 (c) Atlas, a 6’2”, 330-pound robot that shares basic features with and moves like a human being, is designed to go places humans cannot, such as nuclear reactors and intense wildfires. (d) Thought-controlled computers are already becoming a reality, with the development of devices like Emotiv’s EEG headset that enables video game players to control computer functions by thought. (e) MIT houses the Institute for Soldier Nanotechnologies, which conducts research projects in nanomedicine. Although much of this research is highly classified, references in high-level policy papers suggest that the development of biotechnology for human enhancement is at an advanced stage. (f) A robotics research project at the Ecole Polytechnique Federale de Lausanne has demonstrated that swarms of robots can intelligently cooperate to carry out complex tasks. The U.S. Air Force has made a computer simulation of how a swarm of mini-drones deployed from the air or by Special Operations Forces could attack. Armin Krishnan is Assistant Professor for Security Studies at East Carolina University. He has studied political science and security studies at Ludwig-Maximilian University in Munich and Salford University, U.K. 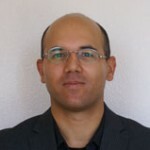 He previously taught intellligence and security studies at the University of Texas at El Paso. He has written three books on new developments in contemporary warfare, including the privatization of military services, autonomous weapons, and targeted killing. His current research focuses on U.S. government secrecy, U.S. shadow wars, and covert action since the end of the Cold War.